We’re thrilled to have one of the world’s most highly acclaimed jazz photographers, David Redfern, exhibiting a selection of his favourite portraits at this year’s Festival. The exhibition starts the week before the festival and runs until Sunday 9th March in the Colston Hall Foyer. Limited edition prints and T-Shirts will also be on sale. David Redfern is an English photographer specialising in music photography. He has been a photographer for 45 years and has over 10,000 pictures in his collection. His collection includes many famous photos of the Beatles and Jimi Hendrix. In 1999 he published a book about his life called The Unclosed Eye. He currently lives in London, England. 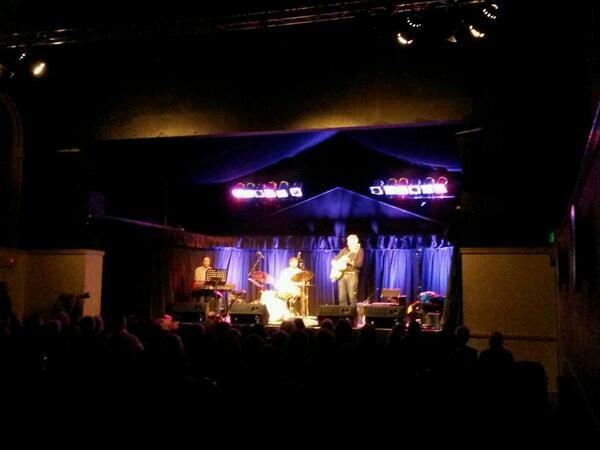 @BristolJazzFest that was a truly outstanding festival, thank you. 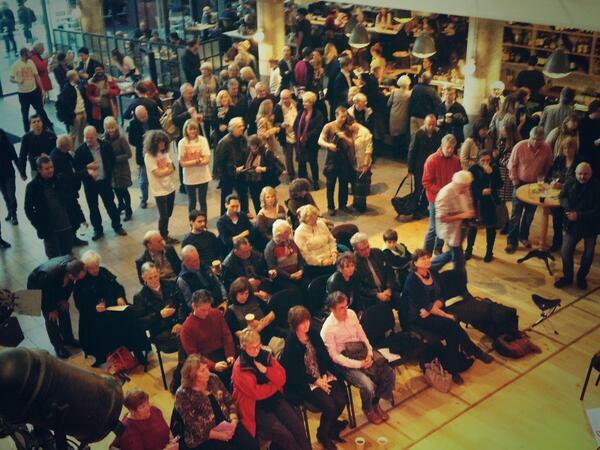 Well done @Colston_Hall the place was ALIVE!!! 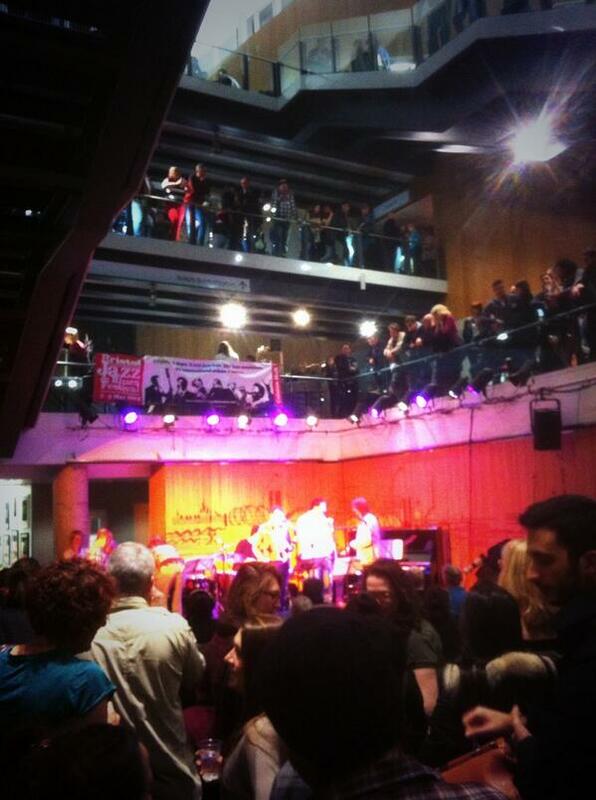 @cidershop @Colston_Hall @BristolJazzFest What kindof a festival is THAT? @JonCraig_Photos @Colston_Hall @BristolJazzFest thanks, Jon - and nice to shoot the breeze afterwards! 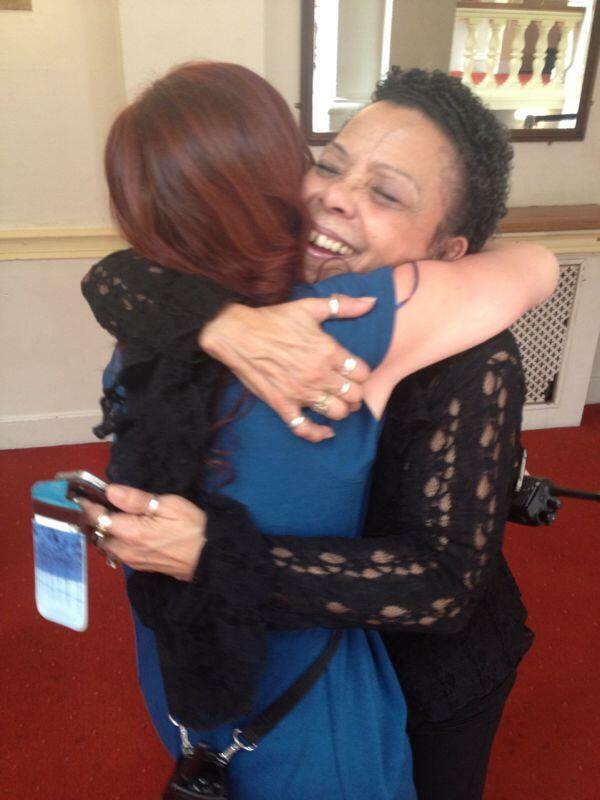 @GeorgeFergusonx @BristolJazzFest @Colston_Hall @imeldayhem looking forward to Imelda May tonight. 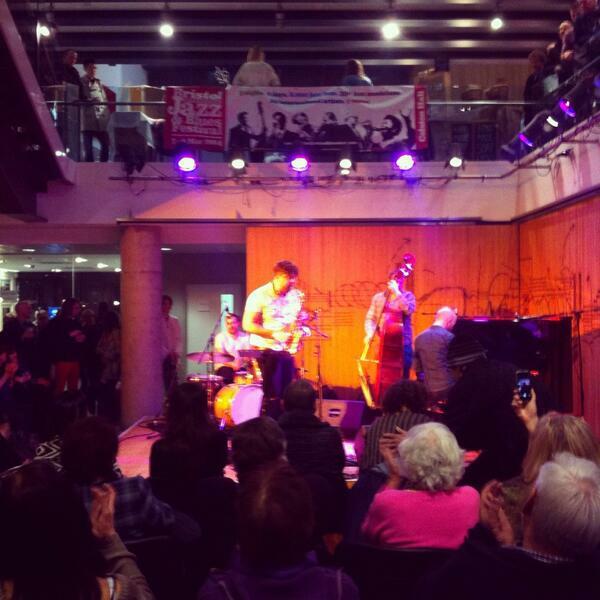 RT @turingcop: @BristolJazzFest some great blues from the Pete Gage band in Colston Hall foyer. @BristolJazzFest some great blues from the Pete Gage band in Colston Hall foyer. @Rosantus1 I should be. Let's gets the weekend done and chat Monday to arrange. I'm @Colston_Hall for the @BristolJazzFest if you're local? RT @BristolJazzFest: Morning! Today kicks off with Django a La Creole in the @Colston_Hall Lantern at 12.45pm! @ShopLocalBris Market on today at the @BristolJazzFest. Lots of local stalls, free entry and music @Colston_Hall all day. RT @DFV_Show: Early start after late night @BristolJazzFest for the #bigband #swing #dance @Colston_Hall Large coffee needed! Early start after late night @BristolJazzFest for the #bigband #swing #dance @Colston_Hall Large coffee needed! 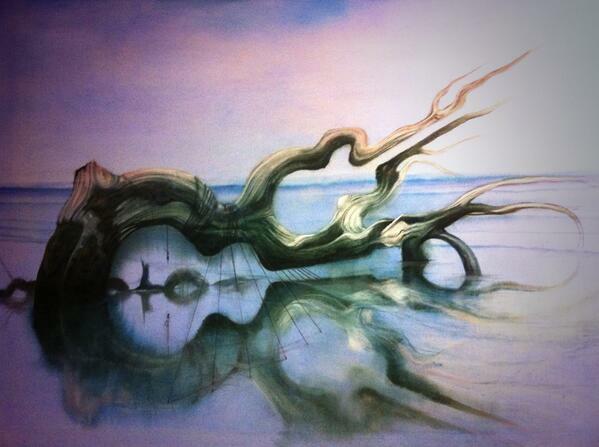 David Redfern's exhibition is @Colston_Hall until Sunday as part of the @BristolJazzFest. Only a small part of his archive but worth seeing. RT @BristolJazzFest: Beginners' crash course in swing dance now in Colston Hall. Who can resist? RT @EmilyWright__: So after a lovely gig with @KevinFiges Octet I'm ready for a weekend packed full of @BristolJazzFest @Colston_Hall! 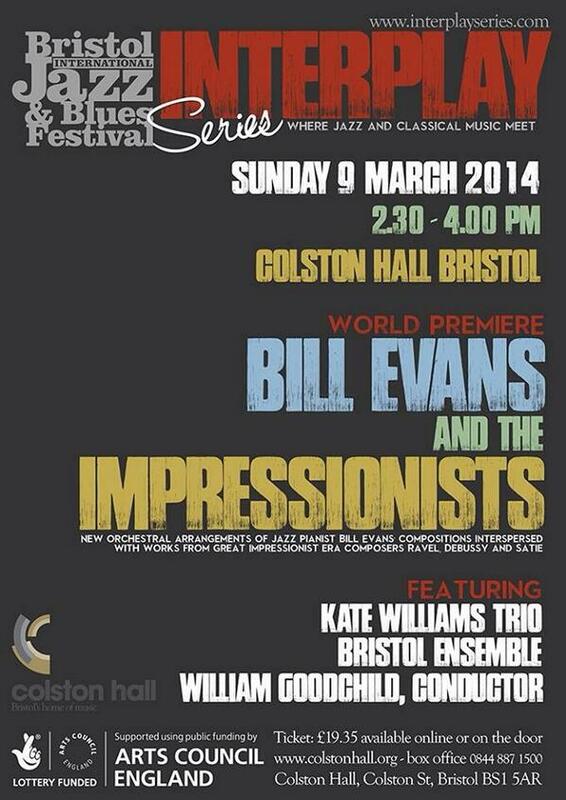 So after a lovely gig with @KevinFiges Octet I'm ready for a weekend packed full of @BristolJazzFest @Colston_Hall! @ZiggyModeliste absolutely perfect masterclass today @BIMMBristol // We wish you all the best for @BristolJazzFest @Colston_Hall tomorrow. 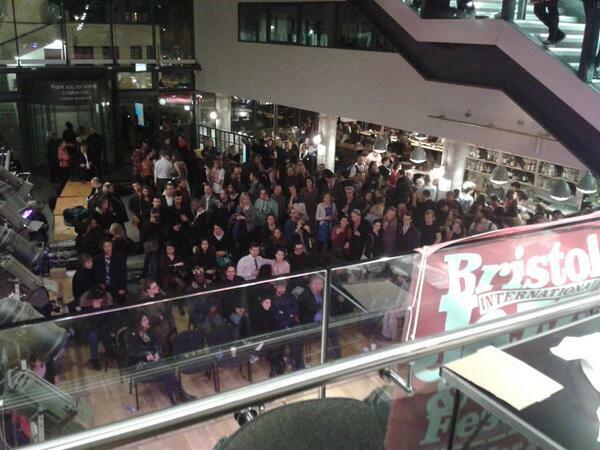 Proud to have been a very small part of the @BristolJazzFest this year. Lovely atmosphere at Colston Hall this evening! Lovely sunny drive to Bristol for @BristolJazzFest at @Colston_Hall. 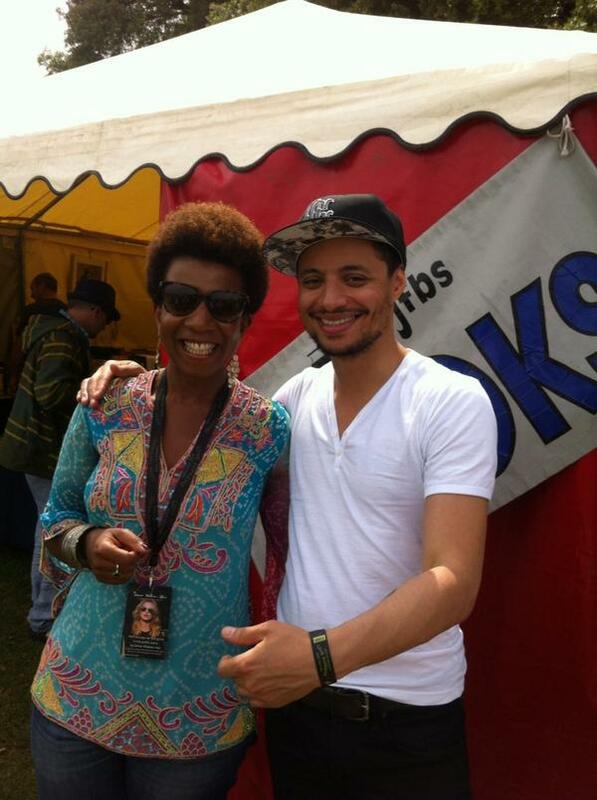 Looking forward to catching up with @JonnyTyersUK too! Just been roped into work @BristolJazzFest @Colston_Hall boy am I going to been shattered! @colstonstbar @Colston_Hall @BristolJazzFest Good luck this weekend guys! 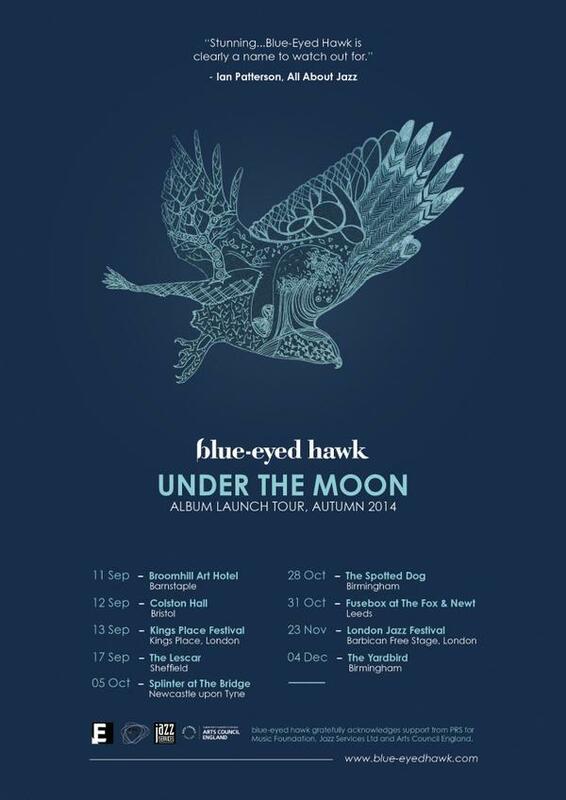 Going to be brilliant! 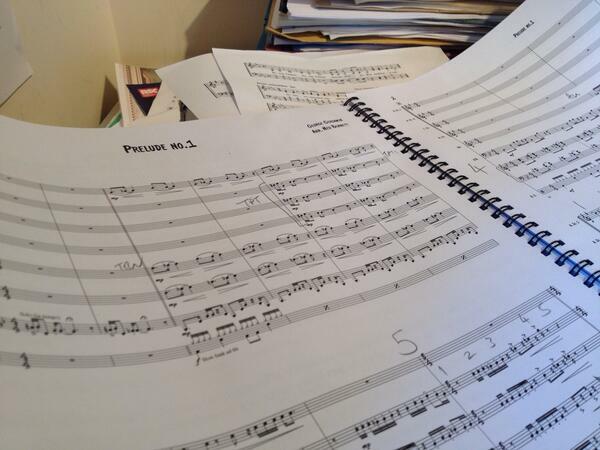 Very excited for #IGotGershwin premiere at @BristolJazzFest tomorrow - 2.30pm, Colston Hall. 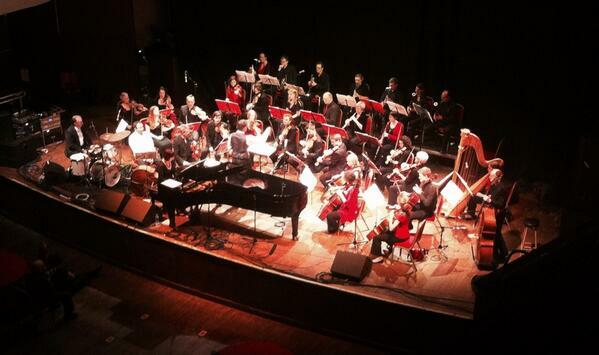 We've got Gershwin - have you got tickets? Jake's band @michmorleymusic is playing in the Colston Hall foyer for @BristolJazzFest tomorrow (Sat 8/3) at 5:15. May even be preview CDs.. So tonight is @osibisaofficial for @BristolJazzFest at @Colston_Hall Anyone else going? @BloodRedSounds? Looking forward to @BristolJazzFest this weekend at @Colston_Hall! @BristolJazzFest @Colston_Hall @wshed @DanPuzey right up your street surely?! 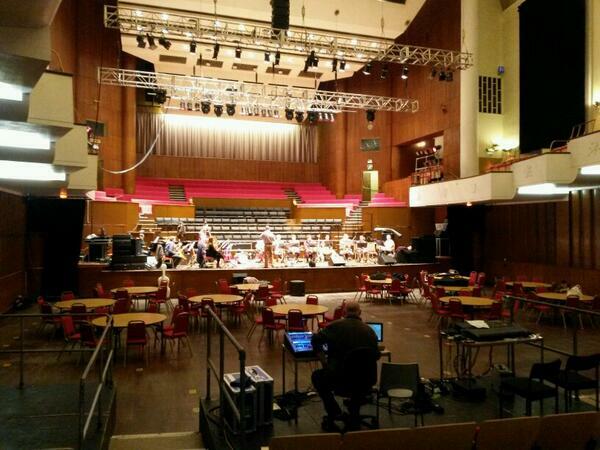 @Bristol52 I'm spending the weekend volunteering at @BristolJazzFest at @Colston_Hall . Excited! 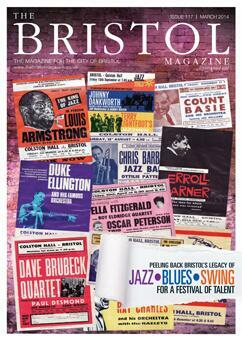 MT @BristolJazzFest: It's tomorrow! The first event of the day is Andy Sheppard & John Paricelli in the @Colston_Hall Lantern at 5.50pm! V excited about the start of @BristolJazzFest tomorrow! 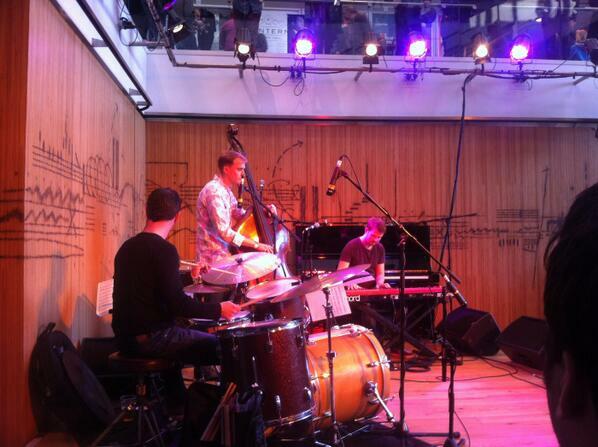 Head to @Colston_Hall for free live jazz in foyer from 5pm to get the party started! @laurarawlings @bbcsomerset @bbcrb @GetTheBlessing @YouTube great band & I think they'll be performing @Colston_Hall for @BristolJazzFest !! 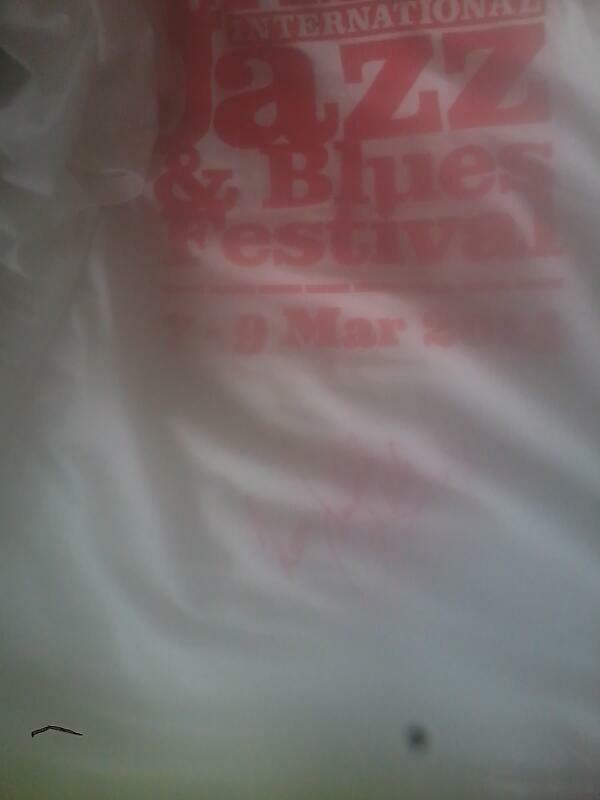 @BristolJazzFest @Colston_Hall - have a brilliant festival!! 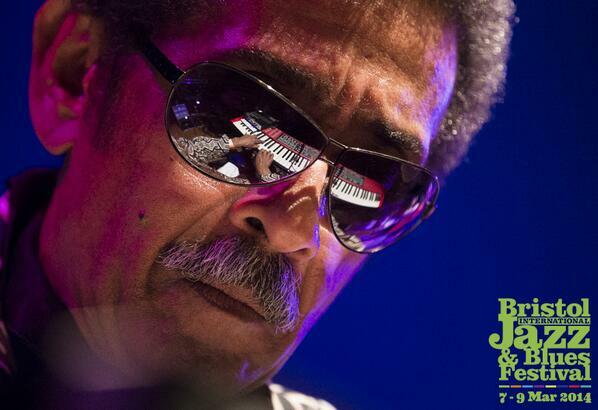 The @BristolJazzFest starts on Friday! 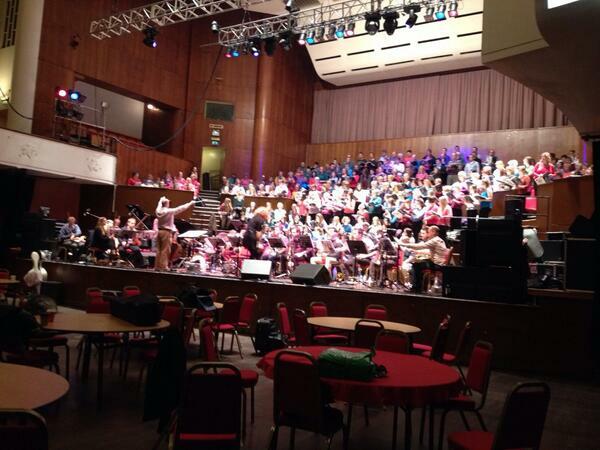 Did you know Louis Armstrong, Ella Fitzgerald & Ray Charles played at @Colston_Hall in 50s? In the March issue: we celebrate @BristolJazzFest with a look at jazz legends who have played @Colston_Hall – there are some great stories! 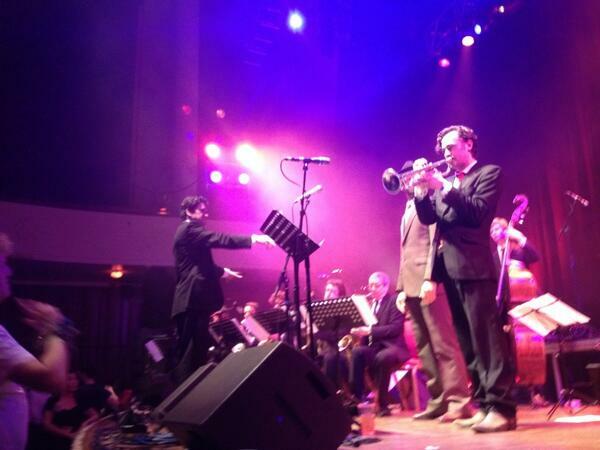 RT @bbcrb: Talking @BristolJazzFest at @Colston_Hall on the @laurarawlings show at 3.40pm with @JamesMortonSax. Talking @BristolJazzFest at @Colston_Hall on the @laurarawlings show at 3.40pm with @JamesMortonSax.